Richard Sexton & Co trim and finish over 100 of our Glencroft sheepskin rugs each week at our warehouse in Clapham, North Yorkshire. 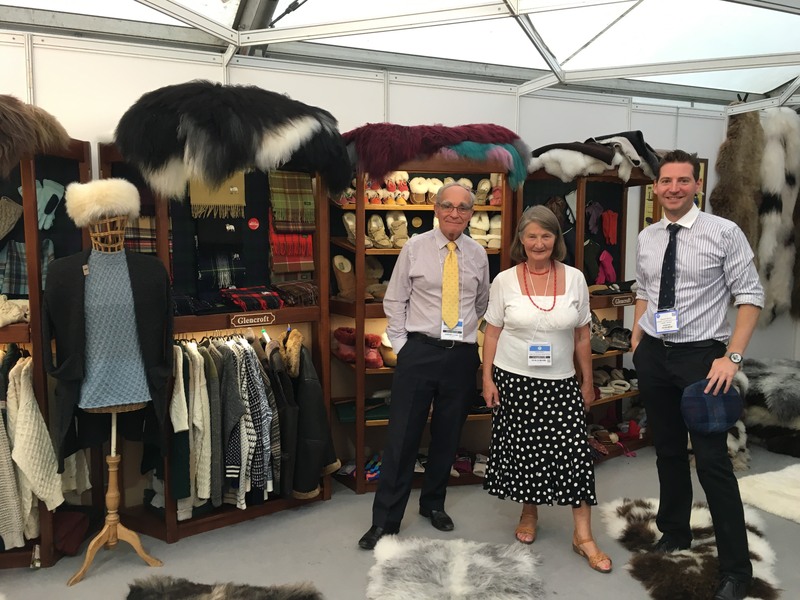 Richard Sexton is our expert finisher, using a keen eye and a steady hand to create the perfect sheepskins that bear our Glencroft stamp of approval. Watch Richard in action below and read more about our Glencroft British sheepskin manufacturing process here. Where do sheepskin offcuts come from? With every sheepskin rug we trim there are trimmings or offcuts, typically 4 pieces – one from the top, one from each side and one from the bottom. Trimming the sheepskin tidies up the edges, although we try not to remove too much so our sheepskins are as big as possible. Typically each offcut is about 1 to 2 inches maximum in width. Trim too little and the sheepskin rug can look untidy, although some people do prefer this ‘natural’ look. Trim too much and the edges of the sheepskin can curl up or curl under – the sign of a badly trimmed sheepskin! What happens to the offcuts? Every week we fill up a big box with offcuts, this is then used to fill up multiple bags which we give away for free to local people, communities, schools or charities – anybody that can find a practical use for them. In this way we can ensure that all our trimmings are recycled and benefit other people. A waste product to us becomes a practical craft material to others! Do you have any larger offcuts I can buy cheaply? We often get asked this question and sadly the answer is no. Each sheepskin is individually processed and paid for per skin so it’s in our interests to only trim a small amount from the edges, any more would be a waste of money. This is why our offcuts are never more than 1-2 inches wide. We do occasionally have second sheepskin rugs caused by problems in the tanning process, or holes in the skins and these we usually use to make into hats (we can cut around the holes). We find the simplest way to use sheepskin in arts and crafts is by glueing it to another fabric using latex glue such as Copydex. Latex glues binds extremely well to textiles, the bond is often stronger than the fabric itself! It’s also a LOT easier than sewing sheepskin which is a tough material and requires specialist sewing machinery, or very strong fingers, thimbles and needles. We trim our sheepskins using a sharp retractable blade utility knife (such as a Stanley knife). We use a knife to cut from the skin side as this leaves the wool fleece free to fall naturally untouched. If you use a pair of scissors you cut through the wool and it will not fall naturally. Cutting and trimming sheepskin with a sharp blade is dangerous and should only be carried out by a responsible adult. What can you do with sheepskin offcuts? Where do we start?! You can make sheep, sheepskin costumes (caveman etc), fake beards, pet toys, use as stuffing for shoes or draft excluders… What you can make from sheepskin offcuts is only limited by your imagination. How can I get some sheepskin offcuts? If you are interested in a bag of sheepskin offcuts then please visit our warehouse in Clapham, North Yorkshire. We can post trimmings (with a carriage charge) if required, but please note we only provide in this way for free to schools, educational organisations or charities on a first come first served basis. If you have a commercial request for sheepskin trimmings, please contact us directly to discuss pricing per bag / kg.